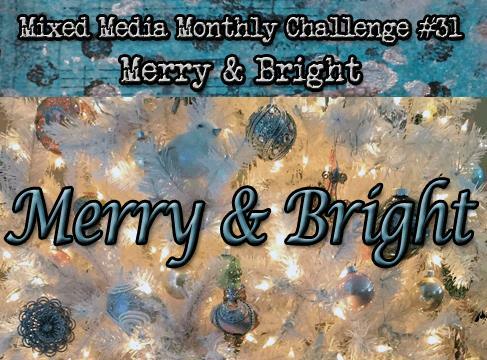 Hello and welcome to the 31st Mixed Media Monthly Challenge – Merry & Bright! It's December and time to get serious about being festive! 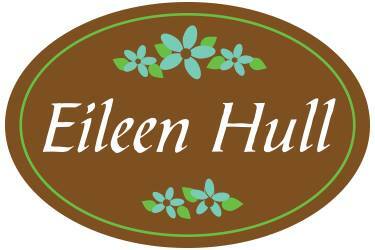 ;-) Our sponsor this month is Eileen Hull. She sent each member of the Design Team cuts from her Loaf Pan and Square Box dies to see what we could do with them. I think you will be inspired! For my project I stacked two loaf pans to make a base for a little woodsy scene. It's easy, let's take a look! 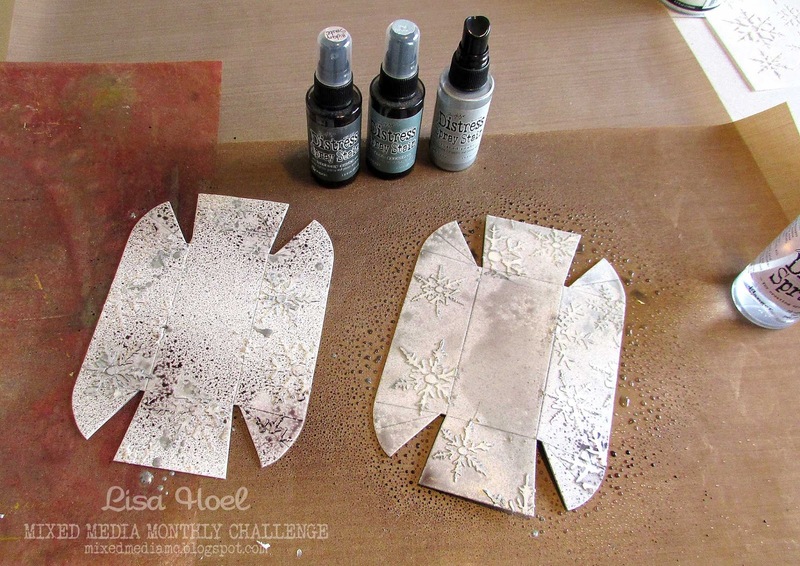 Step 1 – First I used a stencil and Ranger Texture Paste to create the snowflakes on the two base pieces. I made sure I didn't get any paste on the flaps that you glue and score through the paste on the fold lines so it will break cleanly when you assemble them. Step 2 – Once the texture paste was dry, I misted the pieces with Iced Spruce, Hickory Smoke and Brushed Pewter Distress Stains. I also misted with plain water to help the colors blend together. Step 3 – After assembling the loaf pans, I stacked them and glued them together to form the base. I also cut some scraps of styrofoam to fill up the top pan and form a platform for my scene. 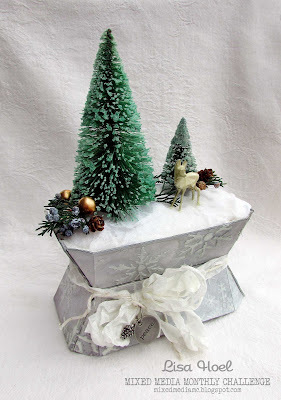 I crumbled sheets of white tissue paper into the top to build up the "hill" and covered the whole thing with Mod Podge and Rock Candy Distress Glitter. Previously, I had prepared the Woodlands trees (sprayed with Distress Stain and glittered) and little Decorative Deer (colored with Mushroom Alcohol Ink). 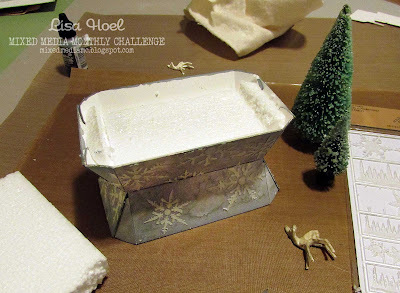 Before the Mod Podge dried I glued the trees and deer in place and added the other decorative elements. When everything was dry I added the crinkle ribbon and charms. Thanks for stopping by! Head on over to the Mixed Media Monthly blog challenge post Merry & Bright to check out the other fabulous projects by the team. Join in and you could win Eileen's retired Sizzix Loaf Pan die! There will be a mid month post with more projects on the 15th so don't miss that as well. 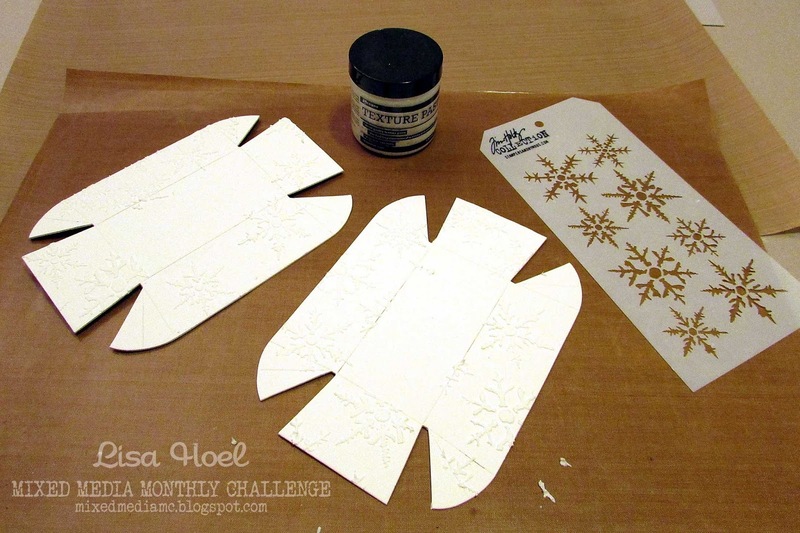 The supplies I used for this project can be found at Sizzix or Simon Says Stamp. Follow the links below and a shopping you may go. What a great christmas scene!